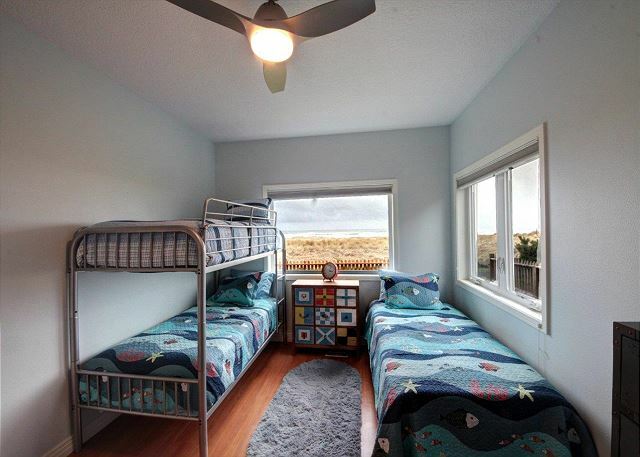 Located in the heart of mid-town, just steps away from sand and sea, this prime property offers the perfect family arrangement for whale watching, beach combing, and visiting shops, galleries, and restaurants. 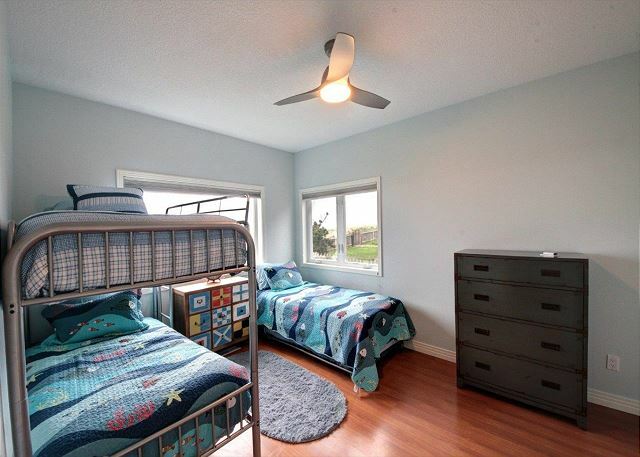 The front door entry draws you into an ample gathering-hall, opening to three bedrooms - one featuring Bunk Beds as well as a Twin and Trundle, another providing a Queen, while the third is the master King bedroom with a full private bath. 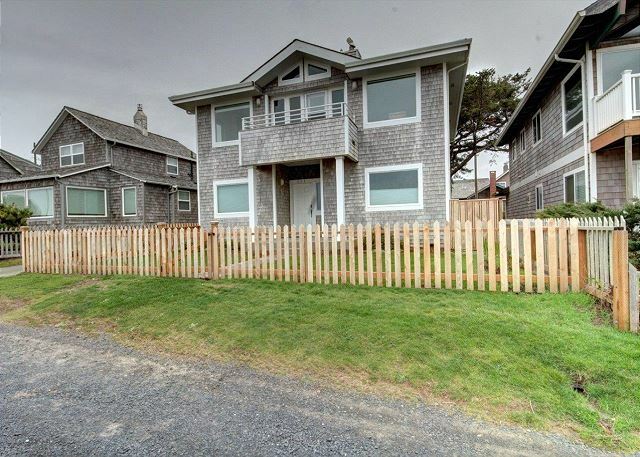 An additional bathroom with shower, and a large laundry room perfect for beach toys and gear, convenient to the back door entry, completes this level. 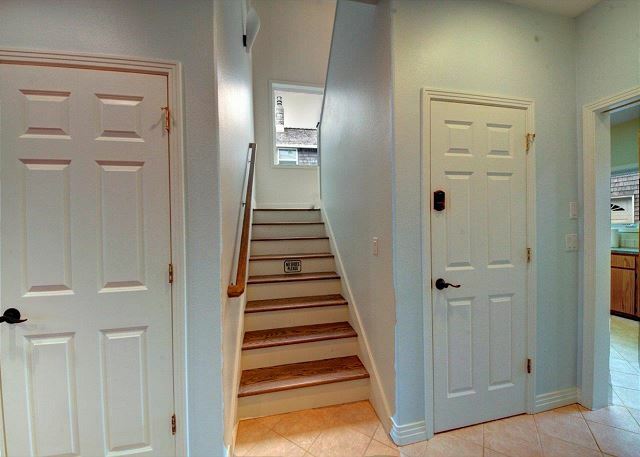 While the first floor is all about convenience, the upper level is all about the luxurious view. 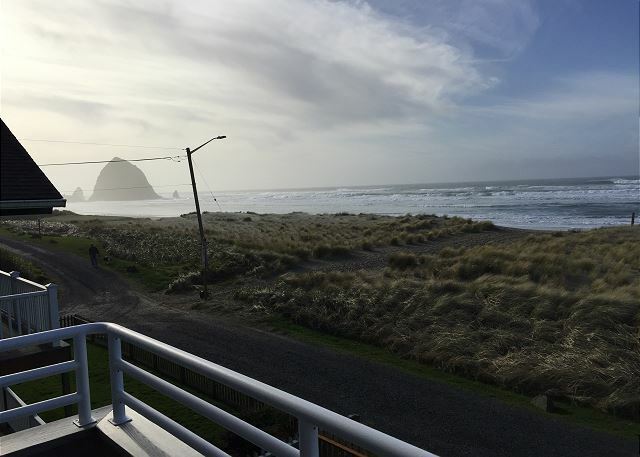 A south to north sea-forever expanse captures iconic Haystack Rock and Tillamook lighthouse as you cozy around one of the gathering areas - either the stone fireplace, the media area, a conversation corner, or the dining table. You can still enjoy the view while in the open kitchen, spacious with plenty of counter area and work island. 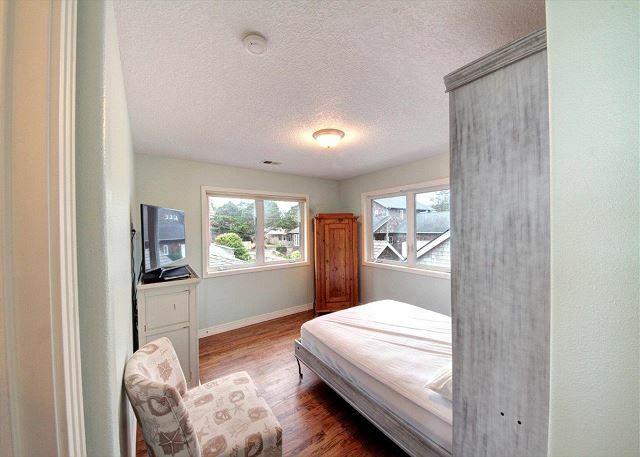 A bedroom with a Queen Murphy bed is off the hallway, as well as a bathroom with a clawfoot tub. 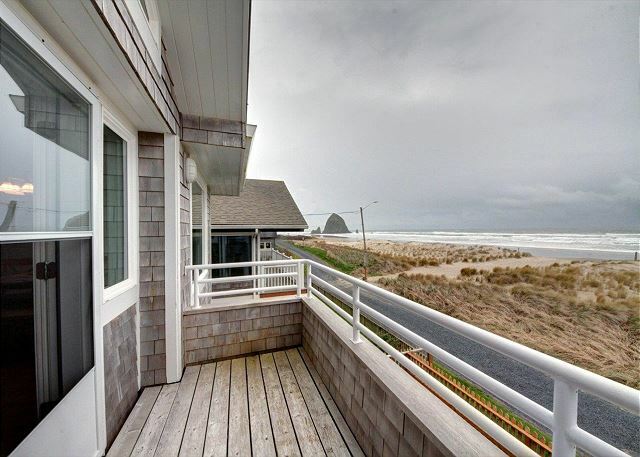 Well appointed with tasteful beach-y detail, Sea-Forever is the ideal Cannon Beach vacation experience. Accommodates 10 maximum; no pets; no smoking; parking for 3 vehicles. $500 Refundable Security Deposit at booking for first-time guests to this property. 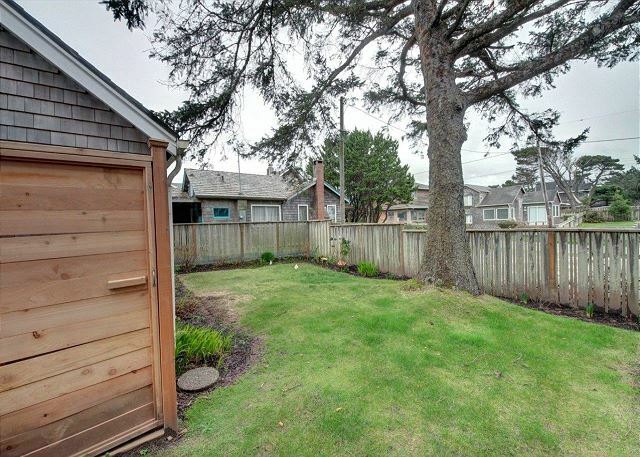 "great location of house, and condition of house was excellent." "The comfort of the home, and the friendliness and helpfulness of the management company." 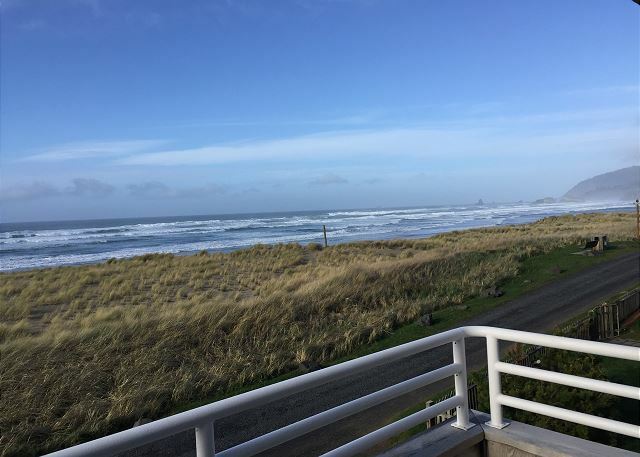 "Great house, roomy and comfortable for families, and perfect location. Internet wasn't great, but typical of CB "pocket areas". 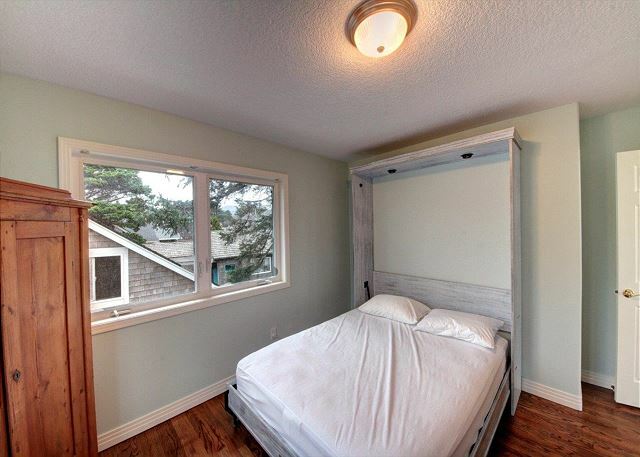 Easy, quick access to the beach. 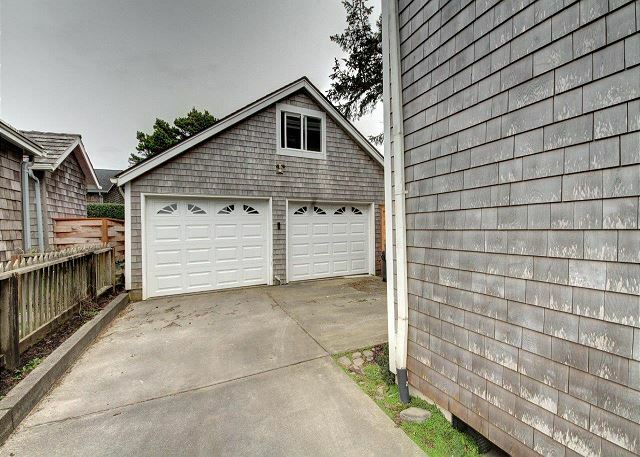 Narrow driveway, though - if more than one car parked there, only the one on the end can get out. "